Valen Watson is a writer/producer who has worked in a variety of media including film, television, advertising, and as a syndicated columnist. Originally from Toronto, Canada, she currently lives in Southern California. 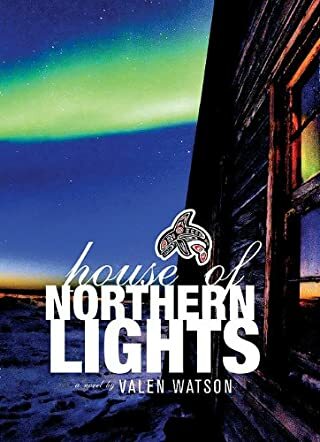 House of Northern Lights by Valen Watson is an amazing novel that takes the reader on a trip to the far northwestern regions, the land of the Haida people whose history goes back a long ways. Liselle (Elle) leaves her failing marriage and urban life in California to move back home to Canada, but she does not stay there long. In order to help an old friend, she moves to the outermost regions of British Columbia to the Queen Charlotte Islands among the Haida tribes and their cultures, storytellers, and the Eagle and the Raven. With little money to her name, she eventually begins to fit in. Meeting Jonah, getting a job as a reporter at the Sentinel, and trying to solve a mystery of a burned out village is just part of the life she is living, a life she is starting over. There is so much to this novel it's hard to put in words. It's a book that once started, one will find is very hard to put down. I really enjoyed the writing style of Ms. Watson; it made me feel as though I were right there walking with the characters. They all lend something to the story line. I enjoyed learning about the culture of the people, their beliefs, their lifestyle and also about a part of the world I never knew about. Although the book is fictional, the territory and inhabitants are actually real. This would make a beautiful movie.